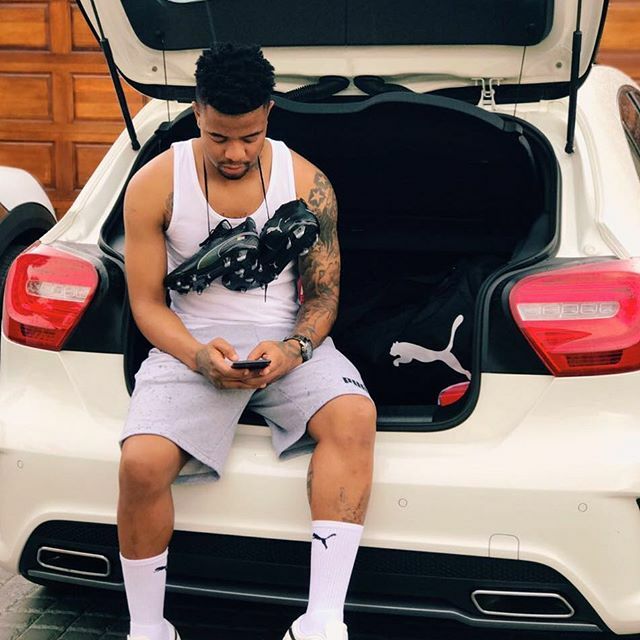 We take a look at Mzansi’s Most Stylish Soccer Players. In this feature we take a look at some of our favourite soccer hunks and their impeccable taste in fashion. This player loves wearing luxe tailored pieces and this is our fav! Just like he does on the football pitch, the Sundowns player isn’t afraid of making bold and daring choices. This designer Moschino and denim shorts collaboration is showing us flames! The Kaiser Chiefs striker is not afraid of showing off his physical features and we’re giving him the thumbs up! Yeye is peerless when it comes to fashion! Expect him to make fashion headlines as well this spring. The Kaizer Chiefs goalkeeper is a big fan of street wear. We love how simple he tackles this look. Daddy duties! We love how the famous Bidvest Wits player is matched up in denim with his adorable son.